Flipping houses can be incredibly profitable if done correctly but many first-time home flippers lose money by making beginner mistakes. Ask yourself a few questions before you decide to flip a home and make sure it is a good venture for you. Do I have enough money to flip homes? Many first-time home flippers fail to consider costs aside from the initial acquisition. 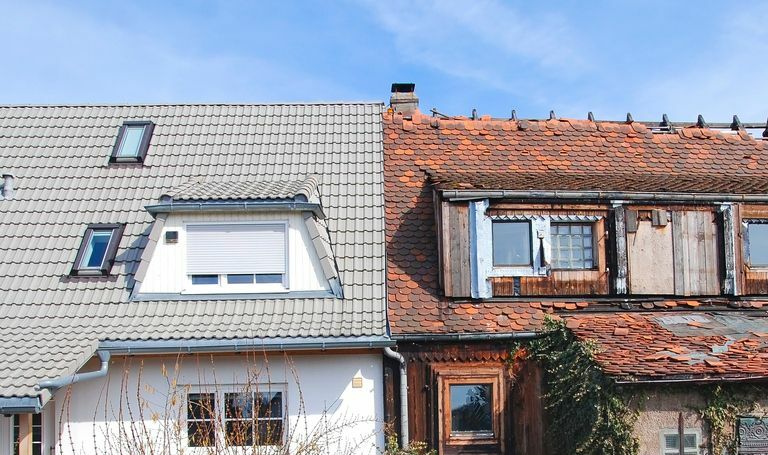 Make sure you also take interest, holding costs (taxes, utilities), and renovation costs into account when deciding if you should purchase a home to flip. Do I have the skills to renovate a house? If you can do the work yourself you may be able to make house flipping lucrative. On the other hand, if you must pay a professional to do the work it will eat into your profits. Make sure you do not go overboard with renovations. You need to make sure you do enough work to increase the value of the house without sinking all your profits into upgrades. Do I know the neighborhood? Make sure you know the average selling price of homes in an area before you purchase. If you’re considering buying a $60,000 house in a neighborhood where homes sell for $100,000 you will want to make sure renovations won’t cost more than $40,000 or you won’t turn a profit. Do I need a license to flip houses in Michigan? Depending on the frequency and nature of work you will be doing you may need a builders or maintenance & alterations license and/or a real estate salesperson license. A builders license is necessary for any person who purchases, substantially rehabilitates or improves, and resells a residential structure, within one year unless the home is for your own use and occupancy, you contract/hire a licensee to perform all the work, or you have a licensed employee do the work. A real estate salesperson license is necessary if you make more than 4 transactions per year. That means you cannot purchase and sell two homes within one year without being licensed. How do I obtain a Michigan builders or maintenance & alterations license? The first step to obtaining a Michigan builders or maintenance & alterations license is completing an approved 60-hour pre-license course either online or in classroom. Once the 60-hour course is complete you must fill out an application form and submit a $195 payment to the Michigan Department of Licensing and Regulatory Affairs (LARA). The state will contact you 2-4 weeks after receiving your application at which point you can take the state builders exam. You will receive your state license in the mail shortly after passing the state exam. How do I obtain a real estate salesperson license in Michigan? First, you will need to complete a 40-hour pre-licensure course. Then, submit a real estate application to the state and find a broker to house your license. Once your application has been processed by the state you will need to pass a state license exam. Like most endeavors flipping homes takes practice and patience. Make sure you give yourself enough time to find a home priced correctly, in a good neighborhood before you purchase. Interested in obtaining your builder or real estate salesperson license? This entry was posted in Construction, Real Estate and tagged Flip homes, real estate.